Longboard equipment is the paramount part of longboard safety. 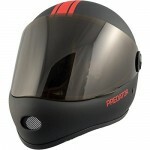 Primarily, longboard safety equipment refers to safety pads and helmets. 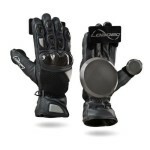 The reference may also include other paraphernalia like grip tape or slide gloves. The gear may not be essential, but is highly recommended. Not using safety gear when longboarding can be compared to riding in a car without a seat belt. 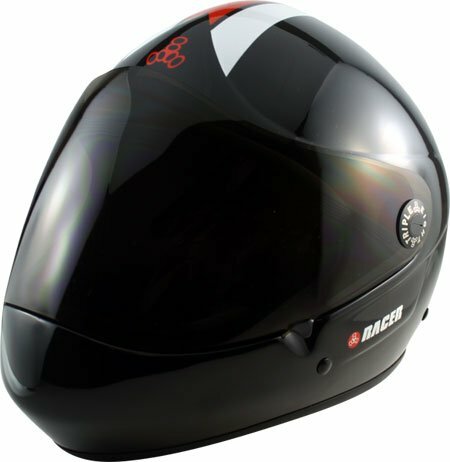 Injuries can easily be prevented with the use of safety gear. The statistics are frightening. Bruises, scratches, and cuts are less frequent. Time longboarding can be maximized when time to attend to injuries is not needed. 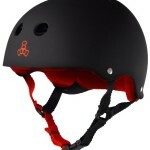 The longboard helmets are the first piece of longboard safety gear to consider after choosing a board. The helmet’s quality and fit can be lifesaving. Every time a longboard is ridden, a helmet should be worn. 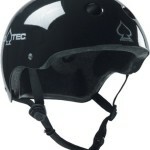 The active, fast pace of longboarding makes a helmet especially important. 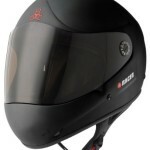 Construction, certification, price, style and fit all have a role in choosing the proper helmet. A half-cap helmet, that is bucket shaped, protects the sides, back, top, and front of the head. The best helmets have a hard exterior shell and an interior protective lining made of soft foam. 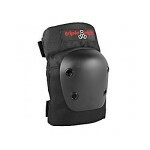 Elbow and knee pads are a given for any sport that requires protective gear when riding on concrete. Hard shell pads are unique to longboarding. 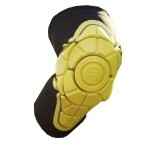 Riders will need the protection provided when surfing sidewalks or bombing hills. There is no doubt that a skid is going to occur at some time. The hard shell is a sleeve made of neoprene or some other flexible, breathable material lined with foam that is one-fourth to one-half inch thick. Velcro straps are used to cinch pads tight. Slide gloves should be made of durable leather. 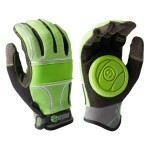 The leather’s durability provides strength to the gloves. A double thickness should be in areas of most need. Those areas are the thumbs, fingertips, and knuckles. The gloves should feature an elastic cuff having a Velcro strip. The cuff will not hang down and catch while sliding. 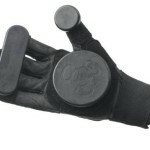 Pucks that secure to the gloves using tough Velcro are part of safe sliding gloves. The pucks are replaceable, because they are used to tackle any surface. Road rash is avoided with the use of sliding gloves. They hold up to tearing and abrasion. The longboard should be high quality. When the producer is more concerned about cost cutting than a quality product, injuries can occur more frequently. Cheap components provide a poor ride and wheel-biting happens at every turn. Longboards should fit the style of the owner. Hardware, safety, bushings, bearings, wheels, trucks, and decks are chosen to accommodate the necessiites of the rider. Name brands have teams that road-test longboards for their longevity and performance. Pre-selected compatible parts are used in the process of building longboards for advanced riders or beginners. The low center of gravity causes longer boards to be more stable and push easier. Discomfort is avoided on longer rides because the flex of the board acts as a damper system. Traditional cruisers and commuter styles differ in size and wheel placement. The ‘helmet culture’ is more prevalent in longboarding than in skateboarding. Longboard safety gear that protects the body is worn by nearly all professionals. Helmets and gloves are the minimum protection used. Skateboard and longboard protective equipment are similar. Do you know what is the difference between Longboard and Skateboard? Slide gloves are an exception. 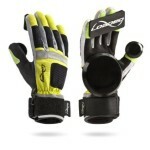 For downhill and sliding disciplines, the slide gloves are specialized. 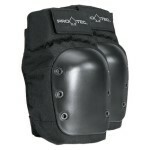 Strong synthetic or leather materials are used. A puck, which is a large replaceable disk, is attached to each palm. The pucks protect hands as riders pivot during slides that are along the ground. Synthetic corian, UHMW, delrin, or polymers are the usual materials that compose pucks. 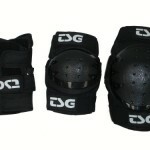 Other protective equipment includes padded shorts, spine protectors, elbow and knee pads, wrist guards and leathers. And of course the skate shoes are probably the most important piece of longboard gear.